Who Are The New Zealand People? A quick guide to the New Zealand people. 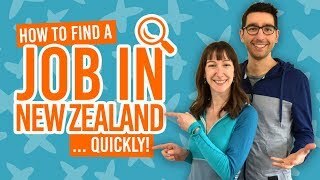 New Zealand is a young country and one that many of us are still learning much about! However, even in it’s brief history (in comparison to the rest of the world), a rich culture has emerged. 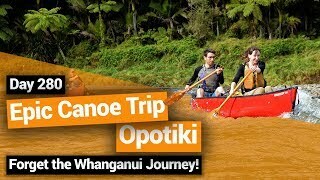 Made up of a population of European, Maori, Asian and South Pacific island descent, New Zealand is a multi-cultural country united in its love for the great outdoors and friendly manner. Who the New Zealand people are, where they come from, and where do they live will be answered in this quick guide to the New Zealand people. Whether you’re thinking of visiting New Zealand for yourself or just want to know more about this small country in the South Pacific Ocean, this guide will give you a great base to learn more. What do you call a person from New Zealand? The nationality of a person from New Zealand is a “New Zealander”. 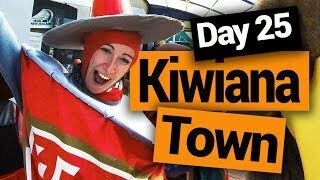 Informally, New Zealander’s are also known as “Kiwis” after the endemic flightless kiwi bird of New Zealand which is New Zealand’s national symbol. Kiwi as a term to describe a New Zealander is not considered offensive. It is a name that came into popularity after the Second World War. A person of Maori descent, Maori being the indigenous people of New Zealand, may prefer to be called a “Maori”. 4.7 million people live in New Zealand. As one of the last-discovered nations in the world, New Zealand has become what’s described as a “melting-pot” nation – a nation of different cultures. While the majority of New Zealanders are of European descent, the largest minority is Maori, which were the first settlers in New Zealand. The next largest minorities are Asians and non-Maori Pacific Islanders. Where do New Zealanders live? New Zealand is split into two main islands, commonly known as the North Island and the South Island, and around 600 smaller islands. About two thirds of the population live in the North Island of New Zealand and one third of the population living in Auckland alone. Other cities with the largest populations include Wellington, which is New Zealand’s capital, Hamilton on the North Island, and Christchurch in the South Island. For a full list of the largest cities with the largest populations in New Zealand, see The 10 Biggest Cities in New Zealand. New Zealand’s national identity mostly compromises of a mix of European and Maori culture thanks to its history. Around the 1300s, Polynesian people were voyaging the South Pacific when they found New Zealand, what they call “Aotearoa” meaning “The Land of the Long White Cloud”. Although it’s not certain where these people came from, they formed their own unique culture called the Maori. Their culture is very much alive today. Learn more about their customs in The Maori Culture in New Zealand. By the 1800s, Europeans were migrating to this newly discovered land to utilise its resources. However, clearing the land in its wild and rugged landscape made these early European settlers grow a great sense of ingenuity, resourcefulness and bravery, which are traits commonly identified with New Zealanders even today. Since those early days, New Zealand has not only used their ingenuity to create some famous inventions, they also came up with forward-thinking societal decisions that the rest of world followed. New Zealand was the first country to allow women to vote in parliamentary elections, invented jet boats, the bungy jump and countless other “firsts”. Take a look at New Zealand’s Firsts for a greater list! Many would say that the New Zealand lifestyle is “laid-back” with emphasis on an even “work/life” balance. Recreation plays a huge part in the Kiwi culture, particularly involving the outdoors. Thanks to New Zealand’s diverse landscape, outdoor activities are a large part of Kiwi pastime. Many Kiwis have a distinct relationship with the water, due to its voyaging history and the fact that there’s over 15,000km of coastline. About 15% of New Zealand families own a boat. Mountains and forest also make up a significant part of the New Zealand landscape, encouraging recreational activities like “bush walking”, hunting, fishing and mountaineering. In fact, the summit of Mt Everest was first conquered by a Kiwi, Sir Edmund Hillary. With expanding cities and the majority of Kiwis choosing to live in New Zealand’s cities, more and more New Zealanders are enjoying art, fashion and culinary experiences that cities bring. That’s not to say that there isn’t a major rural community in New Zealand as one of the largest export earners for New Zealand is farming. It’s simple: visit New Zealand. Strike up a conversation with people as you’re travelling around. 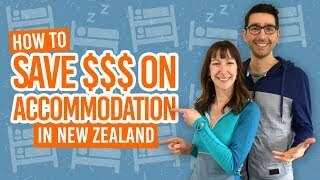 You’ll find that the people are very friendly and that the “Kiwi hospitality” isn’t just a myth. However, if you want to dive deeper in the culture of New Zealand, there are a couple of great ways to do it. 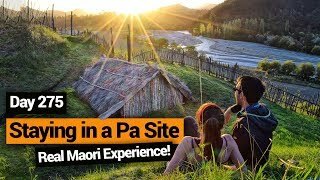 Maori experiences are designed to show visitors their culture, history and customs. Check out some experiences at 10 Best Maori Tours in New Zealand. New Zealand is not your average holiday destination. While some visitors stay in hotels, there are actually many opportunities to stay with locals. Locals are very accommodating and cherish the opportunity to invite visitors into their homes – even if they’ve never met! Find out more in 5 Ways to Stay with Locals in New Zealand.